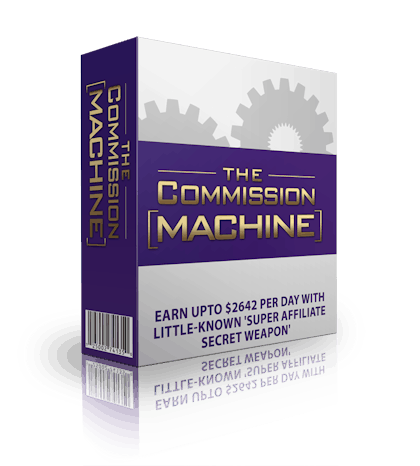 The Commission Machine Review - Is it worth the money? Want more commissions? 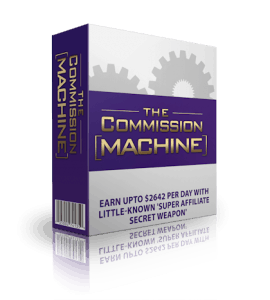 Read my The Commission Machine review to know more about this course. Is it something for you? Is there a massive value that you can learn from? Hi there, my name is Richard. This was one of my first reviews I made on this site. I have decided to update my review. Not because of the course has changed, but because this was poorly written. I bought The Commission Machine after listening on a podcast that I used to follow. Michael Cheney was interviewed where he told his story and how he likes to do his email marketing. I liked the story, and the podcast owner is someone I trust. So I decided to buy The Commission Machine, and I do not regret it, even I was not ready for the information in this course at that time. Who are The Commission Machine for? So who is Michael Cheney? I have some bonuses for you! Click here to visit The Commission Machine. 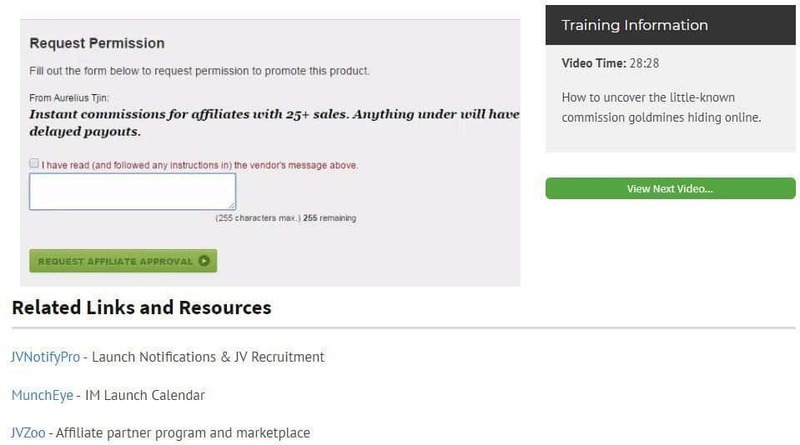 This is a series of step by step videos that shows you how to build your own commission machine by using Michael Cheney’s “R.A.P.I.D.” process (Research, Angle, Provide Incentive, Deploy) by using autoresponder or Facebook. He teaches you mainly email marketing, but he has updated his course for also those who don’t have an email list. I feel this part is a bit overpromising, but I have not tested the no-list tactics. You should try to build your email list if you don’t already have one. This way your commission machine is as a passive income that will work for a long time. 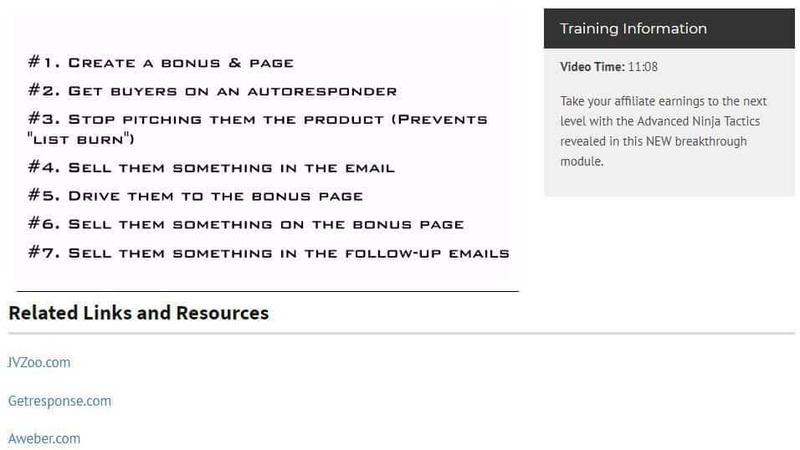 If you don’t have an email list, this course will not teach you how to build one. So The Commission Machine is a machine you build to produce income for you. You can create multiple funnels and multiple Commission Machines that work independently or together as a large machine. The commission machine is made out of 8 modules with one video inside each module. In many of the modules, you have a link to other software or resources. Introduction to his course with some information about how you can make the most out of this course. In this video, you will learn how to find commission gold mines as Micheal says it. He recommends you to find products in the make money online niche, and that’s what he is teaching. He will read several emails he has written and explains the process behinds them and witch angle they belong to. You will also learn how to find the correct intensives that give you the results that you want. I will say this module has some awesome information. 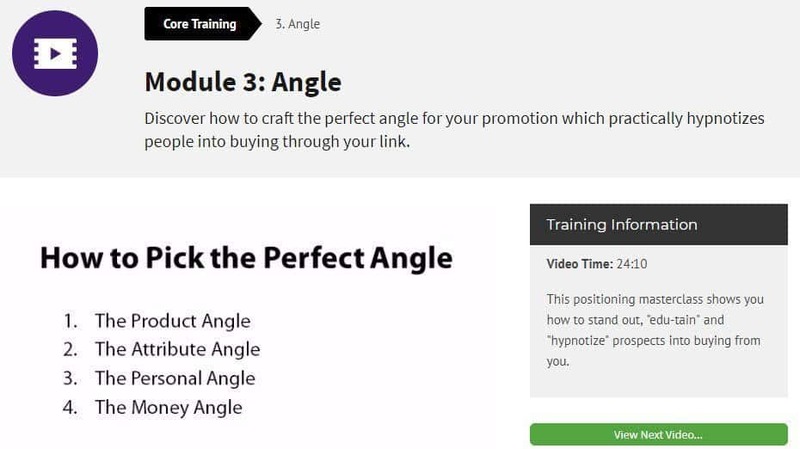 In this module, you will learn how to provide some extra incentives to make people buy through your affiliate link. What you can give them as a bonus, what type of bonuses and how you can set this up by also using scarcity. Michel will also teach you how to you can deliver the bonuses automatically in JVZoo. This method is only working if you are promoting a JVZoo product. Now its time to write your messages. You will learn about how to write your message, and Mr. Cheney gives you a lot of examples you can model for your commission machine. There is a lot of value in this module on how to write your email messages, and this is something I also find a bit hard when I’m sitting in front of my computer. The main takeaway in this module is to write stories. This is something also Ben Settle is teaching and later Russell Brunson. The strategies are similar. In this module, you will learn how to deploy your commission machine. This module is mainly on how many times you want to email and how to sequence your emails. Michel shows you an email campaign or commission machine he has deployed so you can model what he is doing. Micheal Cheney also has a no list method. Here you learn how you can use Facebook in affiliate marketing. This is a method that takes some time and work. I also think this is not so effective after some of the Facebook updates the later years. He is also talking about using Facebook groups, and this will work, but he goes way to fast through the different things you can do. And he also tells you to create a blog where you can do your storytelling. By using his examples I think it will be hard by using SEO, but maybe Micheal has tested this. This module is not that great, and I have a feeling this is made so he can promote this course for people without an email list. But people without an email list will struggle with this information. Here Micheal Cheney teaches you to create bonus pages where you are giving away bonuses if people buy through your link. You send them to the sales page where you tell them when they receive the bonuses. Then he shows you how to add bonuses and send follow up emails. A module with a lot of value if you know how to create this. 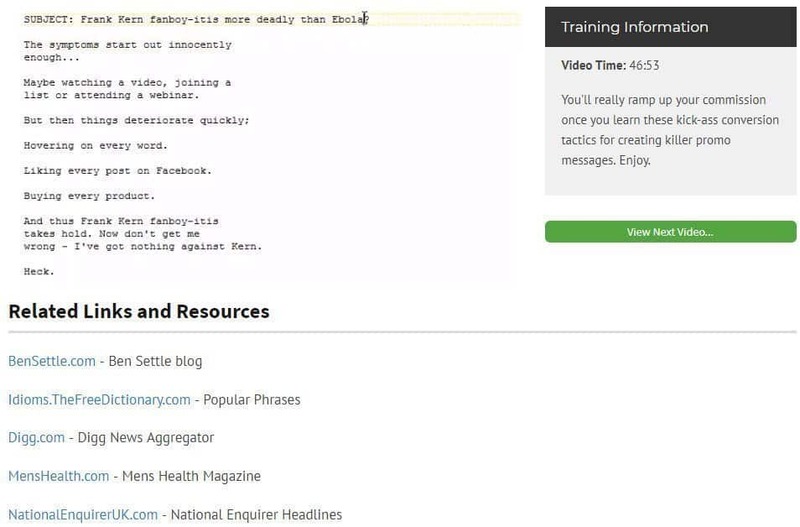 Micheal Cheney promotes this course as this is for everyone, but since he goes through email marketing mainly, and secondly how to use JVZoo, this is not for new people. You will not learn how to create bonus pages, you will not learn how to use an autoresponder or how to get traffic. There is a no list method that should be newbie friendly, but it isn’t. The real value in this course is how to do email marketing, and this is really good. So if you have an autoresponder and know how to use it. You will find a lot of value in this course. An excellent email marketing course. You get this course to a low price. Easy to follow the course if you know the technical part. Great for those who have an email list to promote to or know how to grow a list. You will learn a unique way to promote from a very experienced teacher. You will not learn how to create pages, he just shows you the layout. He assumes that you know how to use an autoresponder, or you will learn it from others. I don’t believe in the no list module and what will work is just mention, so you will easily miss it or don’t understand it. 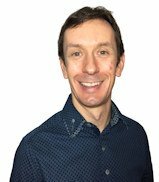 Michael Cheney is an affiliate marketer and course creator from England. He has made several curses in his career and is also well known for his email marketing tactics. He started his internet marketing career in 2006 with a course in Google Adsense. His career started a bit before, but this course was the first time he made money. He made $250,000 in a week that is crazy now and even more crazy back then. Michael is influenced by Ben Settle that teach you to email every day and try to sell every day by using stories. You will learn how to do this in this course. Michael is known for big sales pitches, and his sales videos can be seen as over-promising. Do not let it fool you, he has experience and much to show you. He has been in the online business for a long time and has much knowledge. Many people don’t like these types of sales videoes, I am sort of one of them. I assume this is tested and this type of video is working for him. In the end, it’s the results that matter. I want you to succeed with this course so I want to give you something extra that I think will help you. 30 handcrafted promotional messages created by Michael Cheney. Made just how he is teaching you in this course. You can copy and past them in your autoresponder, but I recommend to modell what he is doing. The no-ads, no-list way to get instant sales and affiliate commissions. How to avoid list burnout and buyers remorse. The Dustin Hoffman secret to triple your commissions. This is a 54 min long video made by Micheal Cheney. How to make more sales. How to double, triple and quadruple your affiliate commissions. How to get in the mind of your potential customers. A private coaching program made by Michael Cheney. This is a 37 long pdf file. How to build a list from scratch. The biggest mistakes that 99% of list builders do and how to avoid them. The biggest list-building myths revealed. Simple step by step approach how to get your first 1000 subscribers. A step by step guide on how to find, attract and keep customers for life. How to double and triple the number of customers you attract to no extra cost. How to avoid the biggest mistakes that 99% of entrepreneurs make. How to unlock the secret psychological buying triggers that convert. How to seize control of your online business. This is a 189 pages pdf guide. You will receive the bonuses when you buy The Commission Machine through my link. If you are experiencing some problems with the bonuses, contact me, and I will sort it out. The biggest value is in his email marketing. Here you will learn how to find affiliate offers and how to promote them. If you are a beginner and want to start with email marketing, you need to find the information on how to collect email addresses, use an autoresponder and how to get traffic elsewhere. This is the biggest issue since he easily could create this course as a complete email marketing course with just a little more effort instead of the no list module. I have no doubt that his results are real and what he says is real, and his course will make you money. But you need to work for it like everything else. If this was easy, then everyone is doing it. So you need to take his pitch with a grain of salt, you need to do the work to receive similar results. Obviously, he has a lot of experience with email campaigns and proves his expertise by actually demonstrating how to implement his methods. He uses ‘over-the-shoulder‘ training as well as Powerpoint presentation. The audio and video quality is excellent. If you want to buy The Commission machine, its now on sale for $19.95. This is almost a 60% discount since the regular price is $47. Description: A course made by Michael Cheney where you learn how to deploy one or multiple commission machines. You will learn how to become an affiliate marketer in the make money online niche mainly by using email marketing. A very good email marketing course. You will learn how to find good affiliate offers mainly on JVZoo and how to use the JVZoo platform. You will not learn how to use autoresponders and how to create landing pages in this course.